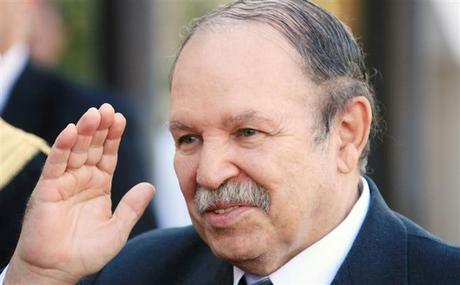 Bouteflika would take "steps to ensure state institutions continue to function during the transition period," the presidency said in a brief statement carried by the official APS news agency. The 82-year-old would resign "before April 28, 2019," after "important decisions" were taken, it added, without specifying when these moves would occur. The Algerian leader said last month he would pull out of the race and postponed April elections, in moves that angered protesters who saw it as a ploy to extend his two decades in power. Faced with massive street protests across the North African country, a succession of veteran Bouteflika loyalists have deserted the president in recent days. On Tuesday armed forces chief of staff General Ahmed Gaid Salah, who was appointed by Bouteflika in 2004, said the president should either resign or be declared medically unfit to govern by parliament using its constitutional powers. And on Wednesday, key coalition ally the National Rally for Democracy (RND) headed by recently sacked prime minister Ahmed Ouyahia called for Bouteflika's resignation "with the aim of smoothing the period of transition." Under the constitution, once his resignation is tendered, the speaker of Algeria's upper house of parliament, Abdelkader Bensalah, would act as interim leader for up to 90 days during which a presidential election must be organized.